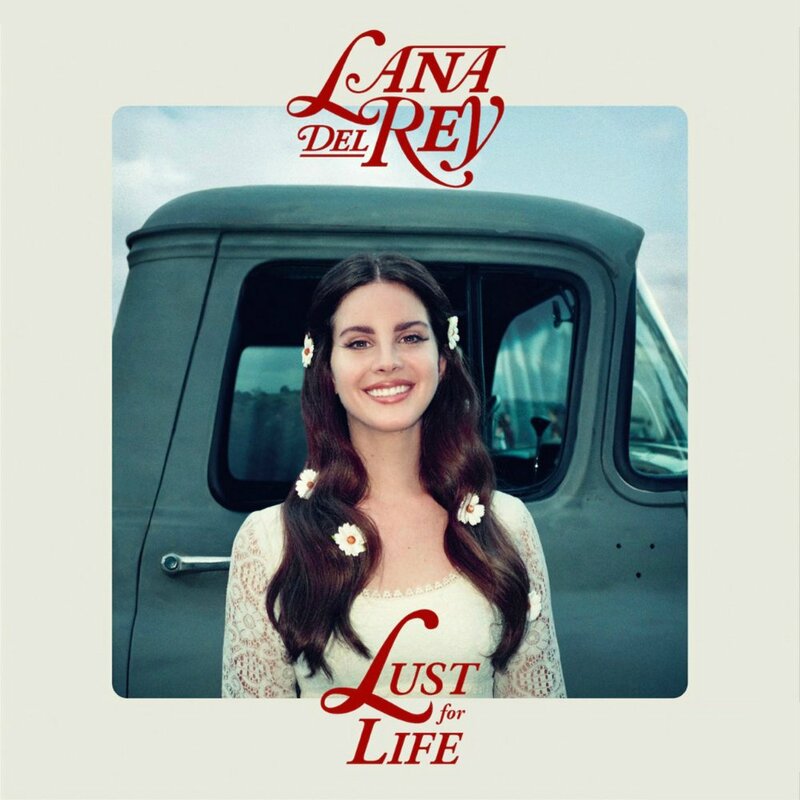 Pop enigma Lana Del Rey’s fourth studio album Lust For Life is her most consistent and focused project to date. Allowing some of the hip-hop influences that peppered debut album Born To Die back into the mix, but maintaining the defining aspects of her old soul personality and unique musical niche, she is finally able to keep me engaged for the entire duration of one of her lengthy albums. Over these 72 minutes, Del Rey touches on some familiar topics for her but enriches them with repeating motifs, pop culture references and a political edge that we haven’t really seen from her before. As we can see from the excellent recruitment of features among other things, Del Rey knows herself very well and is steadily perfecting her craft. Del Rey’s voice is instantly recognizable and still a breath of fresh air after all these years in the spotlight. She is capable of infusing so much emotion in to an understated delivery and simple melody. Opening track “Love” reminds me of what made her first big hit “Video Games” so great – it’s very bare-bones musically, but her breathy vocals and the melody at the center carries the track. Her song concepts are often intriguing, and as she disregards the mundanity of life because “it’s enough to be young and in love”, you believe her. The kindred spirits that Del Rey finds here really enrich the album and the messages she’s trying to convey as well. The Weeknd appears for their 4th collaboration, and the two are always stellar together. Their track, “Lust For Life”, alludes to the suicide of Peg Entwistle, who jumped off the “H” in the Hollywood sign after a failed career in acting. In the music video, the two nihilistic stars sit perched on the “H”, convincing themselves that life is worthwhile over doo-wop harmonies and twinkling keys. It feels like the biggest song Del Rey has ever written. Stevie Nicks appears on “Beautiful People Beautiful Problems”, and it is clear how much Del Rey has been inspired by her. You can barely tell the difference between the two on the somber piano duet. But the real star here is Sean Lennon, who produced standout “Tomorrow Never Came” with some of his dad’s vintage instruments and sounds just like him. The two tell a heartbreaking tale of unrequited love with the beautiful simplicity in music and lyrics that The Beatles were known for. The track sounds absolutely timeless, and could easily have been released many decades ago. There is a lot more percussion here than on most of her albums, and while she may venture a little too far into trendy trap territory at times, I do appreciate it keeping her hazy reflections from becoming too sleepy. The real centerpiece of the album, however, is Del Rey’s lyrics. Ever so often she drops a darkly accurate gem like “Real love – it’s like smiling when the firing squad’s against you”. The album is deliberately ordered like many of the best – the same track, “Cherry”, references the “peaches”, or small joys, she brought up on preceding track “13 Beaches” being ruined as she gives herself a reality check. Many of these repeating motifs can be tracked throughout the album’s duration. Where Del Rey’s frequent returns to the same lyrical themes got old quickly before, here she gets a bit more specific and personal to make them interesting again. “Coachella – Woodstock In My Mind” is a full account of Lana taking in a Father John Misty set at the festival with the singer’s wife. She worries about all the surrounding youths using the festival as an escape from real world problems in her typical Del Rey way. She states that she wrote the track in response to tensions with North Korea mounting, and her newfound political angle crops up elsewhere too. “When The World Was At War We Kept Dancing” asks “Is this the end of America?” No, she states – the last time the nation faced problems this size during the Cold War, the Hippie movement ushered in a new era – “We just kept dancing, and we’ll do it again”. Meanwhile, “God Bless America – And All The Beautiful Women In It” is the most sarcastic dedication to the country ever written, as the seemingly triumphant chorus is peppered with gunshots. While Del Rey does explore some very interesting lyrical themes on the project – many of which contain complex allusions that you might have to look up to understand – the album is still incredibly long. A few of these tracks serve the same narrative purpose, and could easily have been cut out. The stretch from “White Mustang” to “Groupie Love” feels a little weaker than the rest, especially as we receive back-to-back A$ap Rocky verses. Lana goes full trap on these two tracks, and the influences are a little weird, not really fitting with the rest of what she conveys here. On an album where Lana realizes what she does incredibly well in many areas, the presence of these two tracks that aren’t really her put a bit of a damper on things early. “White Mustang”, meanwhile, is written more lazily as she checks the boxes of what to include in a Del Rey song. For the first time, Del Rey’s album cover pictures her with a smile on her face. While there’s still certainly some dark subject material on here, a lot of it comes with an element of hope. Lana would have jumped off the Hollywood sign on previous albums, and this added dimension has made her music a lot more compelling. Lust For Life is a massive improvement on her past work.